Bryn Gwyn Paleontology Park - Gaiman, Patagonia, Argentina. First park of its kind in Latin America. Located on the south bank of the Chubut river in a place called Bryn Gwyn ("White hump" in Welsh) and located about 8 kilometers from Gaiman. This area rich in fossils has been extensively researched and provided fossils of great scientific value. As in the rest of Patagonia, the "bad lands" (formations of sedimentary layers) treasure fossils from different periods. The geological and paleontological sequnce of Bryn Gwyn Park is to travel to the past of 40 million years. In a guided ascent you are going through sedimentary strata corresponding to different geological formations. The walk is an opportunity to experience the Paleontology Field. Visitors watch the real points where the fossils are accompanied by explanatory captions. In addition, the ride offers the stark contrast between the tones of the steppe and the green of the lower valley of the Chubut River, securing an aggregate landscape value. The Paleontological Museum Egidio Feruglio in Trelew guided excursions to this place. Gwyl Glaniad, the Landing Festival in Gaiman The tea is a must activity in the town of Gaiman in Chubut province for its delicacy and tradition. Attractions in Gaiman Gaiman has a strong Welsh tradition that can be seen in the tea houses, museums and a tour of the city. 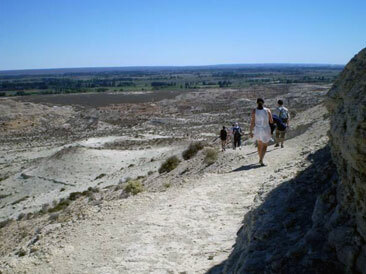 You can also visit the Paleontological Park and the Park "El Desafío". Museums in Gaiman Four different institutions to rescue the history and culture of the city of Gaiman. Welsh culture, Aboriginal culture and contemporary culture are exhibited in the museums of the city.